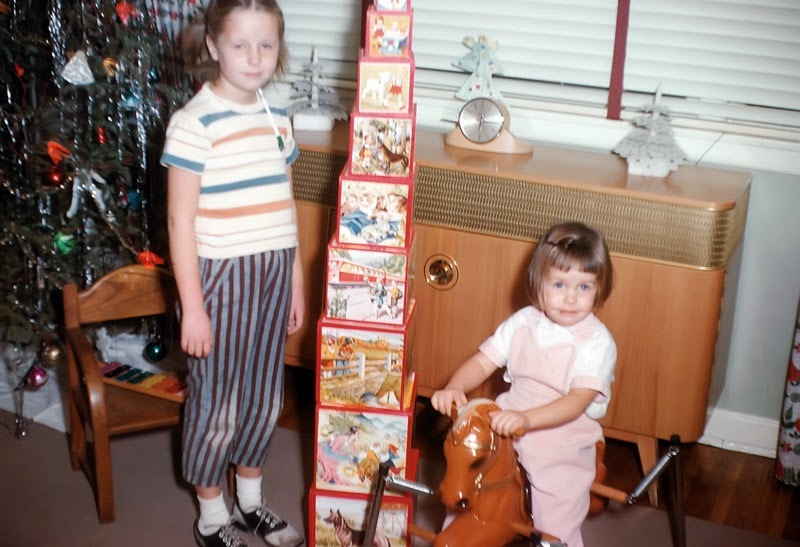 This edition of Frugal Friday, Halloween edition, will also be a flashback. 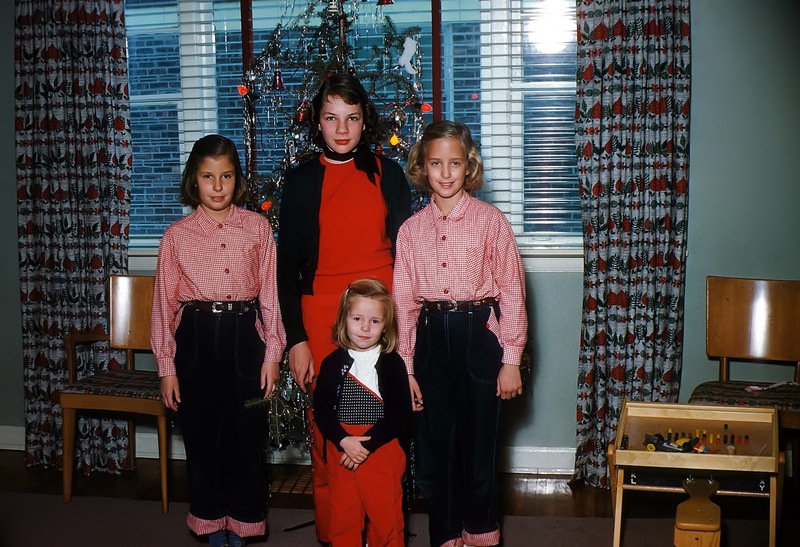 In the photo below is of my sisters, Ann and Ellen (the twins) my cousin Sylvia, and my sister Susan (the little one up front.) 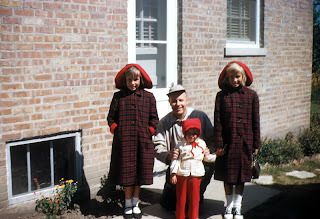 And yes, my Mom dressed Ann and Ellen in coordinating outfits- many of which she sewed herself. 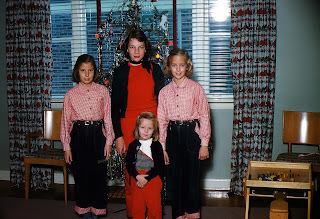 Anyway, I'd like to direct your attention to the chairs on either side of the girls. In the early years of their marriage my parents amassed a very nice collection of Haywood Wakefield furniture, including these chairs (and four more like them) and a gorgeous Hay-Wake dining table and server. Those were the pieces that I kept after my mom died. And I guess the point of this post is pay for quality and it will last forever. 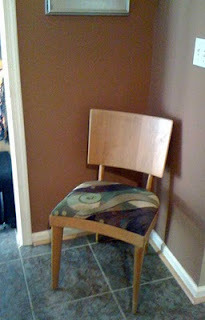 Here is one of those chairs today, with contemporary upholstery and some refinishing I think it looks wonderful. And finally, I'm including this photo because it was the nearest thing I could find to a vintage family Halloween photo, Ann, Ellen, Susan, and my Dad.